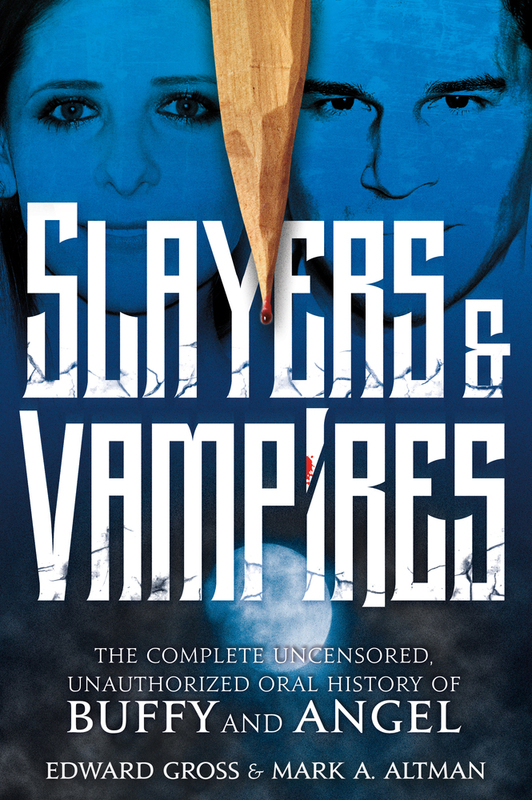 From the bestselling authors of the critically acclaimed two-volume series The Fifty-Year Mission, comes Slayers & Vampires: The Complete, Uncensored, Unauthorized Oral History of Buffy The Vampire Slayer & Angel. Two decades after its groundbreaking debut, millions of fans worldwide remain enthralled with the incredible exploits of Joss Whedon’s Buffy Summers, the slayer and feminist icon who saved the world...a lot; as well as Angel, the tortured vampire with a soul who fought against the apocalyptic forces of evil. Now, go behind-the-scenes of these legendary series that ushered in the new Golden Age of Television, with the candid recollections of writers, creators, executives, programmers, critics and cast members. Together they unveil the oftentimes shocking true story of how a failed motion picture became an acclaimed cult television series, how that show became a pawn between two networks, and the spin-off series that was as engaging as everything that came before. This is the amazing true story of Buffy and the friends, vampires, slayers, and demons who changed television forever.